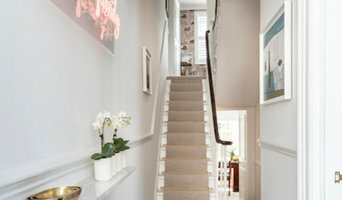 We organise stylish and efficient property renovation projects in Central and North London. Our role is to minimise the time and effort our clients, as home-owners, spend on organising and managing work carried out on their properties. We can help with all aspects of a project including design, planning and sourcing contractors to execute and deliver your renovation project. 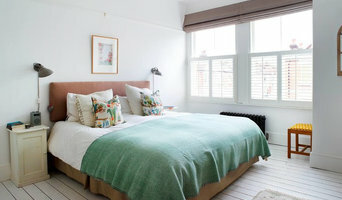 We have wide experience in renovating period and modern houses and flats. We also provide Home Staging to help maximise your market potential. Dabrovska Design is a London based interior design practice specialising in bespoke, high quality projects ranging from refurbishment of existing houses, designing newly built spaces to one-off furniture commissions. Joanna Dabrovska works closely with her clients from concept through to completion of the project. Her proven ability to generate memorable designs using the finest materials and the expertise of the leading craftsmen and artisans, permeate a sophisticated and elegant approach to the living environment. Her ultimate goal is to create timeless, comfortable spaces that bring joy and sense of pride to her clients.